On the dawn of stark poverty, somebody went insane. 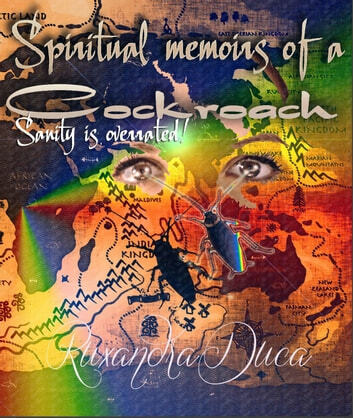 A cockroach; the one cockroach that evoked the permanence of nature through its desolating despair; the cockroach that had been born a human against its will, or the human hinting at inability as a repercussion of causality. Recalling meeting the stars and Time itself, the main character proceeds on its way towards humanization. Time resents it, yet God prevents self-destruction. The Earth consequently bows before the human being that retains the memories of injustice. Celestial objects welcome the seeker of means to salvation, and thus is born the Intergalactic President of the Earth, the creature that is neither holy, nor human or evil, and neither God, nor the devil or human. Corruption as the path to salvation proves itself nonexistent, although the Cockroach insists on the illegality of its victory. Running the Earth from both the Moon and Mars, the President occasionally visits the green planet, solely to meet with the insects and take notes of the philosophy that surrounds their simplicity. However, upon the last return to the martian office, revolution strikes. The President does extinguish the flames of fury, proceeding to write the document of salvation, which she deems the Universal Constitution, a document silently denied by God. The Moon turns against its former inhabitant, casting shadows of truth across her consciousness. Confronted with her own demons, the main character finds herself confined by the disbelief of a psychiatrist that - paradoxically - doubts his own sanity. So it would seem, at least from the pinnacle of this book of permutations. In the end, whether or not the limits of logic are crossed, there is one single answer to all that there is. Some call it God. Some call it peace. Some call it kindness. This book calls it ‘love’.